Captiva's vision, perspective and drive begins with the Founder. 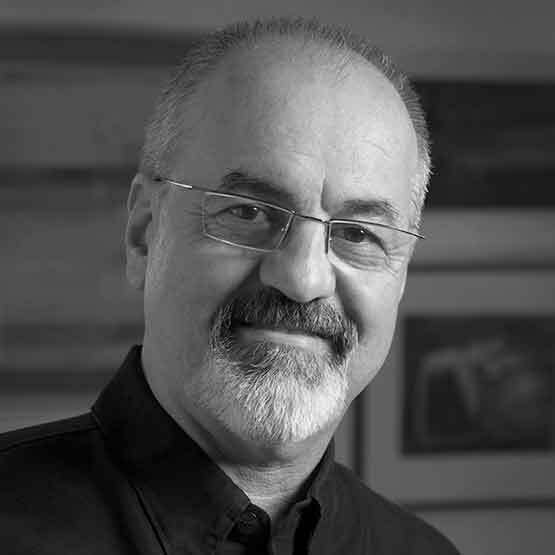 Richard Chimelis is a successful serial entrepreneur for life, with over 45 years experience in the communication arts, adding multimedia and Internet technologies to his expertise in the last 21 years. Throughout his career, Richard has consulted and provided expert services to startups, corporations and institutions in the areas of branding, marketing, design, multimedia and the Internet. Chimelis has produced numerous successful projects and solutions for many national and multinational clients, including such brands as Canon, Discovery Channel, American Express, MTV, Warner Music and Apple, to name just a few. Richard has been engaged as a guest speaker at numerous events in the areas of web design, branding, digital marketing, and the production and strategic applications of digital media. He has also led workshops, taught classes and trained clients in interactive design, digital photography and video, mobile applications and best practices, digital marketing, content management systems and dozens of software applications.